This is an account occasionally used by the Daily Free Press editors to post archived posts from previous iterations of the site or otherwise for special circumstance publications. See authorship info on the byline at the top of the page. Hello Boston Hockey Blog faithful, we have started a new podcast covering Boston University men’s hockey team. It is our first episode and we plan on doing it weekly. On this week’s episode of “Lighting the Lamp,” we’re discussing the Boston University men’s hockey team’s recent loss to No. 3 Providence College, previewing the Terriers’ home-and-home series against No. 13 Northeastern University, checking on the women’s team and seeing what’s happening around Hockey East. It didn’t take long for the Boston University men’s ice hockey team to add another promising recruit to its program, as the Terriers have reportedly received a commitment from ’99-born defenseman David Farrance. The news comes the same day as Patrick Harper’s announcement of his commitment to BU. The Victor, New York, native had an impressive 2013-14 campaign with the Syracuse Stars of the United States Premier Hockey League U16 division, compiling 32 points (20 goals, 12 assists) in 28 games – tying him for the team lead in scoring. The highly touted blueliner has already gotten off to a hot start this year with Syracuse, scoring four goals and adding an assist over the team’s first three games. Noted for his speed and advanced ability to generate offense, Farrance should be a key contributor to future Terriers teams. The Boston University men’s hockey team may have its roster in place for the 2014-15 season, but the Terriers continue to add players for the future. Forward Patrick Harper announced on his Twitter account Friday morning that he has committed to the school, joining forwards Clayton Keller, Kieffer Bellows and Hank Crone as the fourth 1998-born player to do so. The 5-foot-8 forward played midget hockey last season for both Connecticut Oilers and the New Jersey Rockets. In 24 games with the Rockets, Harper tallied 29 points on 13 goals and 16 assists. During the USA Hockey Select 16 Camp this summer, the Connecticut native scored three goals in five games played. Harper is considered undersized for his position, but has made up for it in skill. He’s known for his strong passing and goal-scoring abilities throughout the offensive zone. This season the forward will play hockey with Avon Old Farms prep school in his home state. Boston University men’s hockey head coach David Quinn will welcome four additional freshmen to his team for the 2014-15 campaign. With a little over a month until the start of the 2014-15 regular season, the Boston University men’s hockey team has finally put the finishing touches on its roster with the inclusion of four more freshmen on the team. The four new Terriers – two forwards, one defenseman and one goaltender – will help push the final roster to 26 total players. BU will add another puck-moving defenseman with the arrival of Brandon Fortunato. Playing last season with the United States National Team Development Program U-18 team, Fortunato led all blueliners in points with 39 (three goals, 36 assists) on the year. The North Hills, New York native, who also played alongside incoming BU freshmen forward Jack Eichel and defenseman John MacLeod, helped the USNTDP squad capture the 2014 International Ice Hockey Federation World U-18 Championship. The Terriers will also receive a boost on offense with the addition of forward A.J. Greer, an imposing 6-foot-3 presence out on the ice. Greer put up impressive numbers over the last two seasons at Kimball Union Academy compiling 92 points (39 goals, 53 assists) in 61 games. During the 2012-13 season at KUA, Greer skated alongside current BU sophomores forward Nick Roberto and defenseman Doyle Somerby. Greer, who does not turn 18 until Dec. 14, is the youngest player on the Terrier roster. Another netminder will join the ranks of the Terriers this season, as goaltender Connor LaCouvee was also added to the team. Playing last season with the Alberni Valley Bulldogs of the British Columbia Hockey League, LaCouvee earned team MVP honors after posting a 2.82 goals-against average and a .920 save percentage. LaCouvee, hailing from Qualicum Beach, British Columbia, stepped up his game in the BCHL playoffs, putting forward a .929 save percentage in seven games. Rounding out the list of new players is forward Nikolas Olsson, who last played for the Sioux City Musketeers of the United States Hockey League over the last two years. In 75 games with Sioux City, the Escondido, California, product recorded 23 points off of 13 goals and 10 assists. The arrival of four new freshmen was not the only news roster-wise for the Terriers Wednesday, as a team source confirmed that defenseman Dalton MacAfee is no longer a member of the team. No reason was given for his departure. A standout at St. Sebastian’s School in Needham, MacAfee played in 31 games last season for the Terriers, recording three assists while leading all defensemen in plus-minus at -3. MacAfee is not the first Terrier to depart the team this offseason, as freshman forward Brendan Collier and redshirt sophomore defenseman J.D. Carrabino were cut from the roster in May. 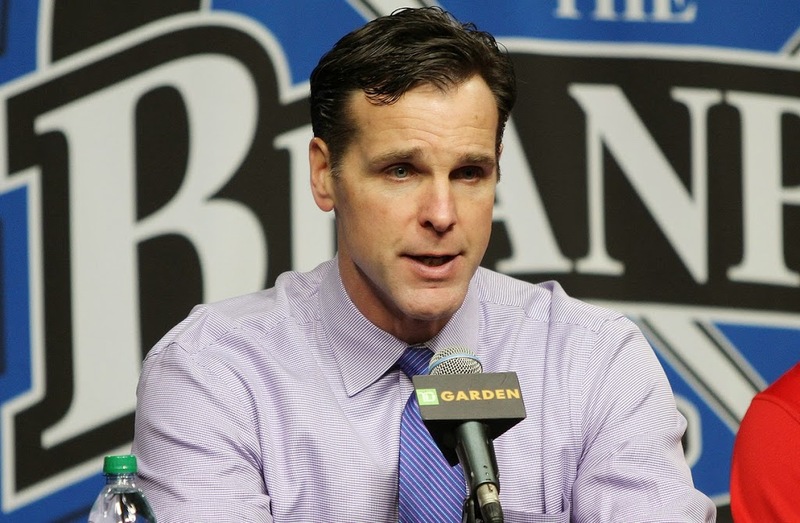 Earlier this year, BU head coach David Quinn acknowledged that a large incoming class would likely force the team to make some roster cuts in order to free up space. Fortunato, Greer, LaCouvee and Olsson will round out a 10-member Class of 2018 that also includes forwards in Eichel, Chase Phelps and J.J. Piccinich, as well as defensemen in MacLeod, Brandon Hickey and Brien Diffley. The first wave of BU’s incoming freshmen signed their National Letters of Intent back in May. Boston University men’s hockey junior goaltender Sean Maguire will sit out the entirety of the 2014-15 season with a medical redshirt, according to a report from Jeff Cox. As rumored, goaltender Sean Maguire will be sitting out entire ’14-15 season at BU. Reason for LaCouvee coming in. Pittsburgh Penguins pick. Maguire played in 16 games for the Terriers during the 2013-14 season, with a goals-against average of 2.90 and a save percentage of .919. During his BU career, Maguire has a save percentage of .923 and a 2.68 GAA. BU still has reinforcements at the goaltending position, as it recently added goaltender Connor LaCouvee from the British Columbia Hockey League to its recruiting class for2014-15. LaCouvee joins junior goaltender Matt O’Connor, who played the most minutes in net for the Terriers last season, and graduate student Anthony Moccia. This summer continues to be a productive one on the recruiting front for the Boston University men’s hockey team. Forward Kieffer Bellows made his commitment with the Terriers official on Twitter Wednesday night, making him the third ’98 player to agree to attend BU. At Edina High School this season, Bellows notched 27 points in 25 games played. He also scored three times in five games during his team’s state title run. Bellow’s 5-foot-11 stature has allowed him to develop into one of the top power forwards in the amateur ranks. In May, he was selected 14th overall by the Sioux Stampede in the USHL Phase I Futures Draft. The Minnesota native is the son of former NHL winger and Stanley Cup champion Brian Bellows. 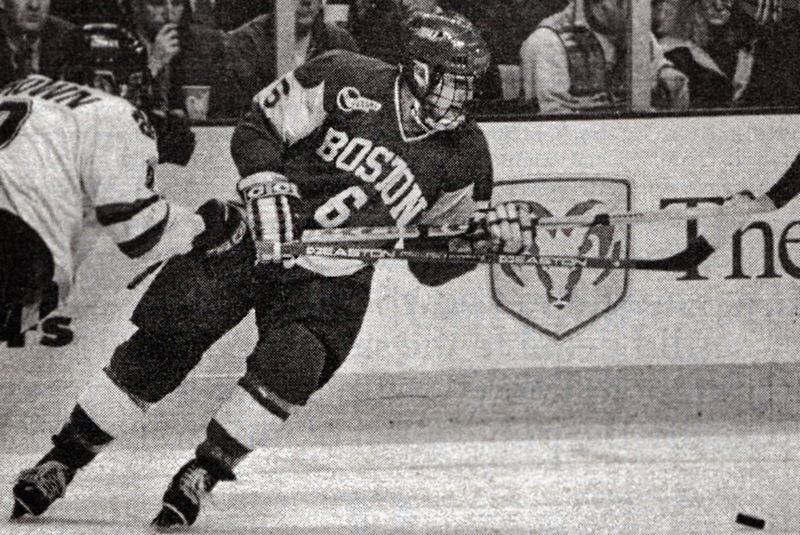 It has not been confirmed what season Bellows will be joining the Terriers, but fellow ’98-born players — forwards Clayton Keller and Hank Crone — are set to be on Commonwealth Avenue for the 2016-17 campaign. BU also added goaltender Connor LaCouvee to the mix. He joins junior netminders Matt O’Connor and Sean Maguire and graduate student Anthony Moccia. LaCouvee played in 38 games for the Alberni Valley Bulldogs (Port Alberni, British Columbia) in 2013-14, posting a 2.82 goals-against average and a .920 save percentage. According to a report, LaCouvee will join the Terriers for the 2014-15 season.